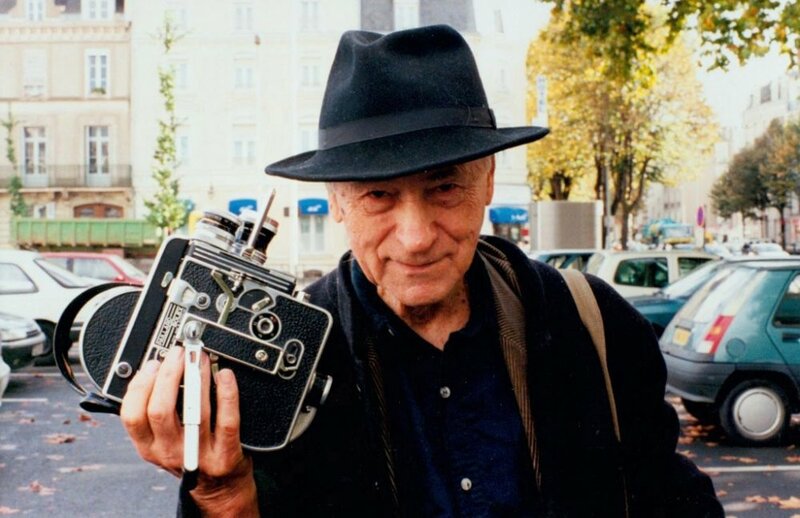 With regard to the recent departure of Jonas Mekas at the age of 96, who was one of the most important filmmakers for the course of avant-garde and experimental documentary cinema, here at Guidedoc we dedicate this heartfelt article to him, to the new generations of documentary filmmakers, to those irremediably nostalgic, to those who feel committed to beauty and art. Jonas Mekas was born in Lithuania and together with his brother Adolfas Mekas migrated to New York in 1949, fleeing the concentration camps where they were recruited and the Second World War. Understanding his condition of being displaced and forever stripped of his home and his roots is vital to know that wandering mood that characterized Mekas. The main characteristic of his films is that they are finely interwoven with his life: the chronology of his documentaries is also the chronology of what he has lived. That is why he is considered the father of the "Diary Film". It was Mekas who, for the first time, gave the intimate twist to documentary cinema, which was previously associated with social themes. His cinema was not interested in what was happening outside, in fictional stories or very distant realities, nor in communication. His legacy in art and experimental cinema lies here: his art was his everyday images. The first three years since his arrival in New York resulted in his first major project: Walden. Its title refers to the book by Henry David Thoreau, a book that narrates the reflections and anecdotes of the writer when he lived isolated in the forest in search of a life lived in freedom. This film is then a compilation of instants during that first stage of Mekas' life in the United States, filmed with the lightness of daily life. "My images are my memories", he said. Snippets of life, homes, houses, streets, gatherings of friends. This work also became the album of filmed memories of the New York avant-garde art generation of the 60’s. We see here then Andy Warhol, John Lennon, Yoko Ono, among many other important characters in the arts. After 25 years of migration, Jonas returns with Adolfas to his homeland and his home, Lithuania. From the gaze of a tourist in his own land; we see the reunion with his mother, his uncles, the forest that was born from the seeds that he and his brother had planted, the concentration camps in Austria where they had been recruited. Although it might have been a painful journey to visit his own past and everything that had been stripped from him, Mekas was always committed to beauty, with a look ready to find it even in the rubble of the painful memory of the Second World War. As a writer and poet (I had nowhere to go, 1991) and among other films such as Lost, Lost, Lost (1976), 355 Day Project, or the Film Correspondences that he maintained for 2 years with the Spanish filmmaker José Luis Guerín; Jonas Mekas was also an insistent seeker and main promoter of projects that brought together and expanded the avant-garde community of New York and the world. He created the cinema magazine Film Culture (1954) with his brother Adolfas. Together with other experimental filmmakers, he created the cooperative The Film Makers (1962), which later became the creation seed of the space for preservation, shelter and projection of experimental films Anthology Film Archives (1970) that can currently be visited in NYC. Finally, the doors that he opened to filmmakers committed to another type of cinema were infinite and incalculable. Mekas'legacy is great, so we can only thank him for having followed his instinct and traversed his searches.